Nearly 260,000 homes and businesses in Quebec were still without power Tuesday morning after freezing rain moved through the province yesterday. Laval officials kept two community centres open overnight for people to keep warm. The bulk of the outages are in Laval, the Laurentians and the Lanaudière regions, prompting school boards in those areas to close schools for the day. 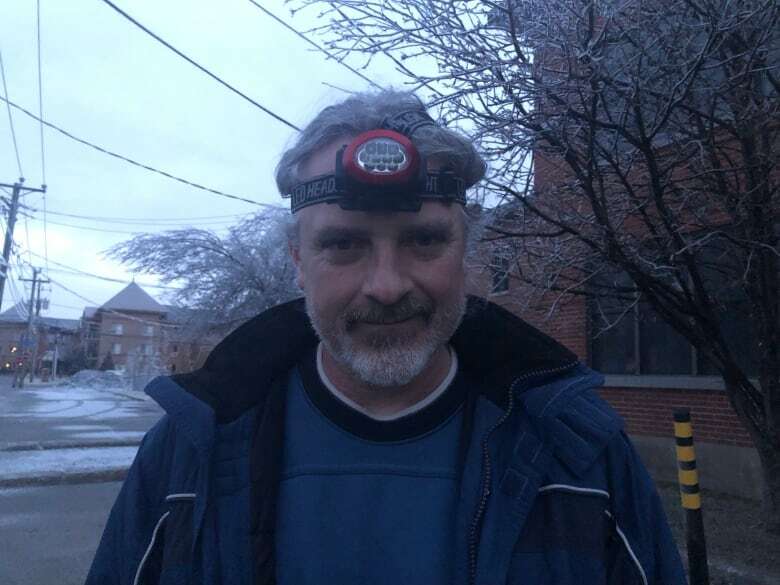 Guy Dumont, a janitor with the CSDL for 30 years, stopped by work to take out the trash and recycling before heading home Tuesday morning to try to keep warm with his kids. There are also outages in Montreal as well as the Montérégie, Mauricie and Outaouais regions. The power outages come after freezing rain and snowy weather rolled through southern Quebec on Monday, coating much of the province in ice and prompting more than a dozen schools to close early. Hydro-Québec said about 310,000 customers in the province were without power as of 9 p.m. Monday. Officials blamed the combination of icy conditions and high winds for the outages.